The Institute on the Environment announces the appointment of two new associate directors, each of whom is responsible for leading a core component of the institute’s work to accelerate sustainability. 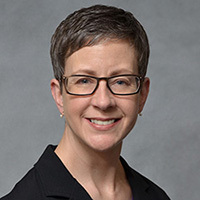 Catherine Jordan, a longtime faculty member of the Department of Pediatrics and extension specialist at the University of Minnesota, joins the institute as its new associate director for Leadership and Education. Melissa Kenney, an associate research professor in environmental decision analysis and indicators at the University of Maryland, will join IonE as its associate director for Knowledge Initiatives, a group that includes IonE’s research programs. They join IonE’s Todd Reubold, who last fall began a new role as an associate director leading the J-Lab, a home for the institute’s independent publication Ensia, reporting on our changing planet and emerging solutions in sustainability. The appointment marks a new chapter at IonE. “Last year we began a process to reorganize our institute to sharpen our focus on our key strengths and the distinctive ways we engage with the University and the broader sustainability community,” says IonE Director Jessica Hellmann. Three focal areas – the ingredients needed to drive tangible environmental change – emerged: filling knowledge gaps (via research, analysis, and decision-making support tools), cultivating capable, activated leaders, and taking ideas to scale through storytelling. IonE channels these capabilities into Impact Goals, specific sustainability outcomes that the IonE community seeks to achieve, together, over a three to five year period. The first round addresses carbon neutrality, safe drinking water, and sustainable land use. “As associate directors in two areas so central to our mission, and as such accomplished individuals, Melissa and Cathy are going to immeasurably strengthen the institute’s impact and shape how it serves the University community and beyond,” says Hellmann. Both roles are 50-percent appointments, which will allow Jordan and Kenney to continue to pursue their individual scholarship, while also serving IonE. Jordan, a pediatric neuropsychologist by training, joins the institute with deep experience building collaborative relationships between academic institutions and communities. In addition to her dual role at the U, she has been serving as consulting research director of the Children and Nature Network, where she identifies and curates the scientific literature that helps illuminate the impact of nature contact on children’s health, learning, and development. As IonE’s new associate director for Leadership and Education, Jordan will transition out of her extension role, maintaining her faculty appointment and continuing her CNN work. 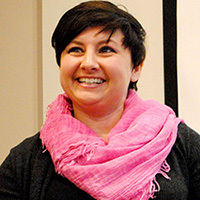 In her new IonE role, Jordan will oversee a wide range of leadership and professional development activities and programs, serving University students, faculty, and staff, as well as community members, sustainability practitioners, and decision-makers. She begins her new appointment on­ Monday, February 4. Kenney comes to IonE from the University of Maryland’s Earth System Science Interdisciplinary Center and Cooperative Institute for Climate and Satellites. Her work focuses on improving the ways that public and private sector organizations make hard decisions about climate change and other environmental issues. Her expertise in decision support tools and collaborative decision-making processes makes her a natural fit to lead IonE’s interdisciplinary research aimed at driving sustainability outcomes in the broader world. In addition to her multidisciplinary scientific research, Kenney also brings to IonE substantial experience in science-policy coordination and relationship building between academic and federal institutions, having worked at the U.S. Global Change Research Program to support the development of the 3rd U.S. National Climate Assessment. 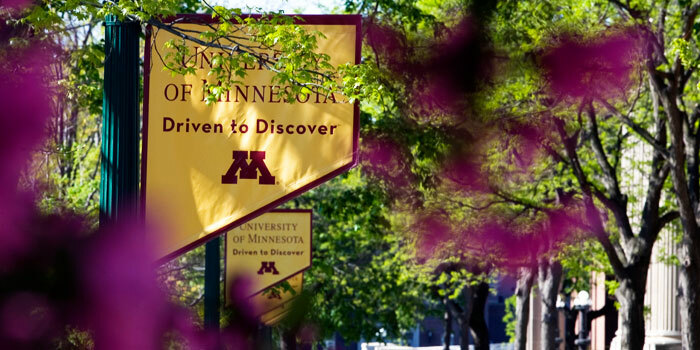 As an interdisciplinary institute serving the entire U of M system, and as part of a land-grant institution committed to serving the public good, IonE welcomes Jordan and Kenney to its ranks. In their associate director roles, they, along with Reubold, will be responsible for connecting creative ideas and people to real challenges and opportunities in our state, region, and world. They join a robust community of sustainability practitioners in Minnesota who are driving innovations that others seek to emulate. “I believe deeply that the university – and scholarship within it that serves the public good – is critical to building a sustainable future, and I’m confident that these new leaders will strengthen IonE’s ability to fulfill that duty and responsibility to our current community members, partners, and future generations,” says Hellmann.